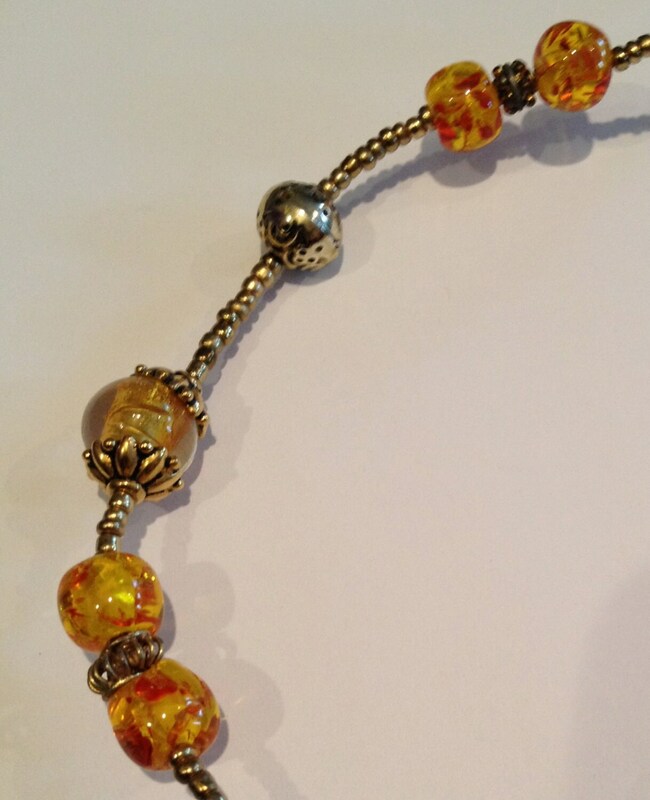 Amber, gold and yellow beaded necklace. A special set for shinning the night away. 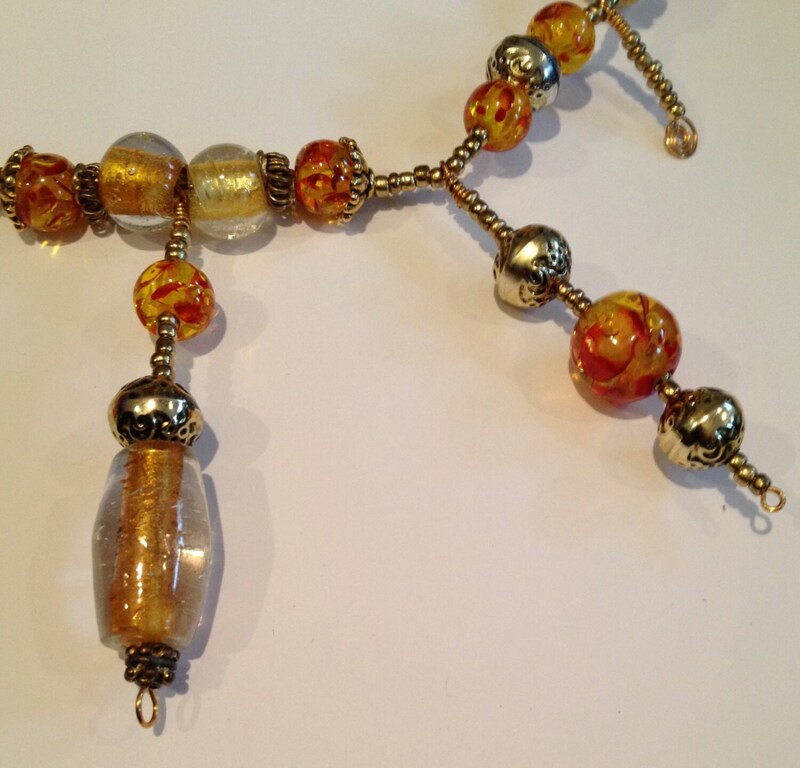 Amazing combination of glass, amber-glass, and gold-color beads to make a unique bright piece. 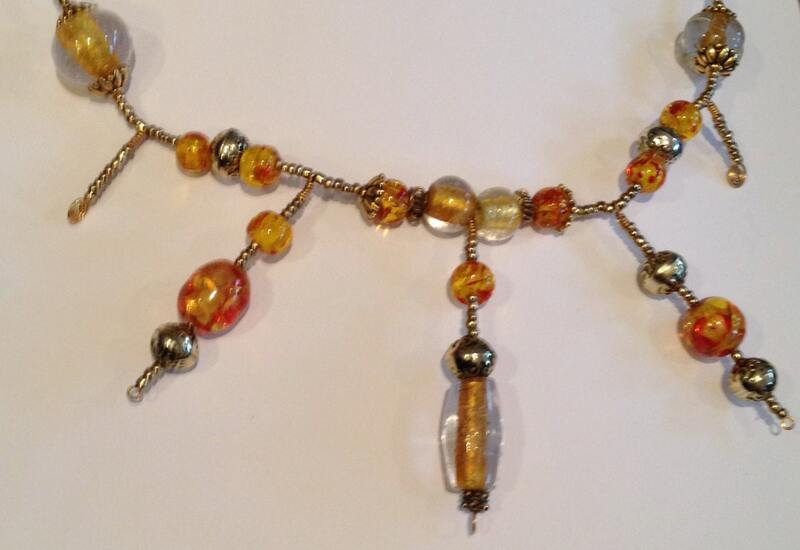 The necklace measures 20" long with a 2.5" center beaded tassle. 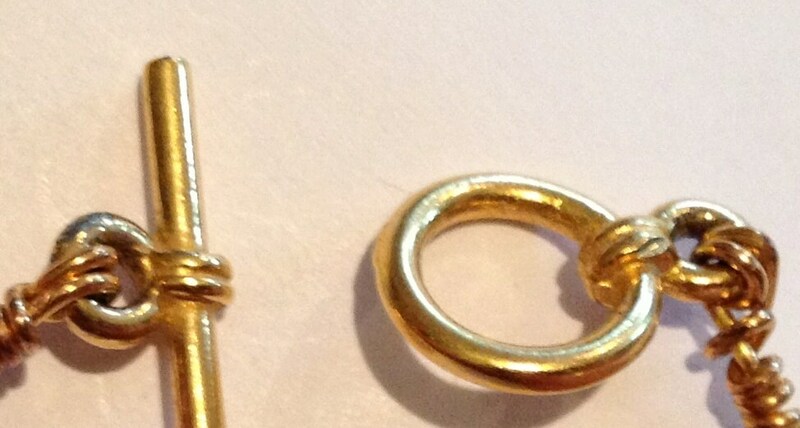 The clasp consists of a gold-plated ring and bar.